Professor Nurul Islam Provides a penetrating aznalysis of the evolving struggle of the Bengalis with Pakistan government's policies on economic issues that led to the birth of Bangladesh. 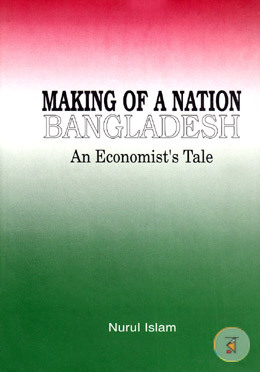 HE also provides an insight into the important landmark economic policy issues during Bangladesh's formative years. The Book begins by providing for the first time an insider's view of many little known aspect or subjects of economic debates and negotiations with Pakistan that caused the great divide between East and West Pakistan. He also examines in great detail the far reaching implications of Awami League's Six Point Program, Which was not fully understood by many at the time. In his capacity as the Deputy Chairman of the first Bangladesh Planning commission he was not only intimately associated with but also had a unique insight into both the underlying rtionale, the process of decision making and of governance in those formative years. The interpretation or assessment of some of these policy issues and developments remains a subject of considerable controversy. Professor Islam's analysis is seen as a major contribution to the debate which attempts to fill many gaps in facts and interpretation. In the concluding part of the book, he discusses a few policy issues of contemporaneous importance for Bangladesh in the light of the past and for the purposes of the future. * Chapter 8 The First-Five Year Plan : Was It Relevant? * Chapter 10 What Was It About the 1974 Famine?